SAMHSA.gov – The Substance Abuse and Mental Health Services Administration has educational materials on addiction and mental health. CDC.gov – The Centers for Disease Control and Prevention website offers statistics and other helpful medical information about alcohol and drug abuse. DrugAbuse.gov – The National Institute on Drug Abuse provides research-based facts and information about addiction. NAMI.org – The National Alliance on Mental Illness website includes information and resources for seeking help and support. Nar-anon.org – Nar-Anon provides support for family members and loved ones of those struggling with addiction. CelebrateRecovery.com – The website provides information about Celebrate Recovery, which is a Christ-centered program, and how to find meetings in your area. Adams Recovery Center. Assess, Rebuild, Connect: Creating a New Life Beyond Addiction. Georgetown, OH: KiCam Projects, 2018. 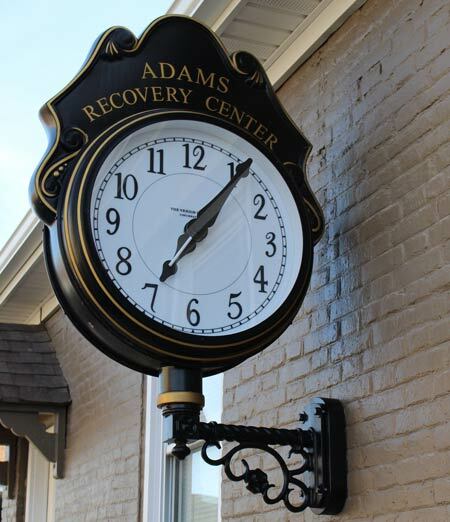 Adams Recovery Center. Accept, Reflect, Commit: Your First Steps to Addiction Recovery. Georgetown, OH: KiCam Projects, 2017. Adams Recovery Center. Addiction, Recovery, Change: A How-To Manual for Successfully Navigating Sobriety. Georgetown, OH: KiCam Projects, 2016. American Psychiatric Association. Diagnostic and Statistical Manual of Mental Disorders (5th ed.). Washington, D.C.: Author, 2013. Foote, Jeffrey, Carrie Wilkens, Nicole Kosanke, and Stephanie Higgs. Beyond Addiction: How Science and Kindness Help People Change. New York: Scribner, 2014. Glasner-Edwards, Suzette. The Addiction Recovery Skills Workbook: Changing Addictive Behaviors Using CBT, Mindfulness, and Motivational Interviewing Techniques. Oakland, CA: New Harbinger Publications, 2016. James, John W. and Russell, Friedman. The Grief Recovery Handbook: 20th Anniversary Edition. N.p. : HarperCollins, 2009. Kubler-Ross, Elisabeth. On Death and Dying: What the Dying Have to Teach Doctors, Nurses, Clergy and Their Own Families. London: Routledge, 2009. Leder, Sharon. The Fix: A Father’s Secrets, A Daughter’s Search. Georgetown, OH: KiCam Projects, 2017. Sheff, David. Beautiful Boy: A Father’s Journey Through His Son’s Addiction. New York: Mariner, 2008. Spiegelman, Erica. Rewired: A Bold New Approach to Addiction and Recovery. United States: Hatherleigh Press, 2015. Williams, Rebecca E., and Julie S. Kraft. The Mindfulness Workbook for Addiction: A Guide to Coping with the Grief, Stress and Anger that Trigger Addictive Behaviors. Oakland, CA: New Harbinger Publications, 2012.